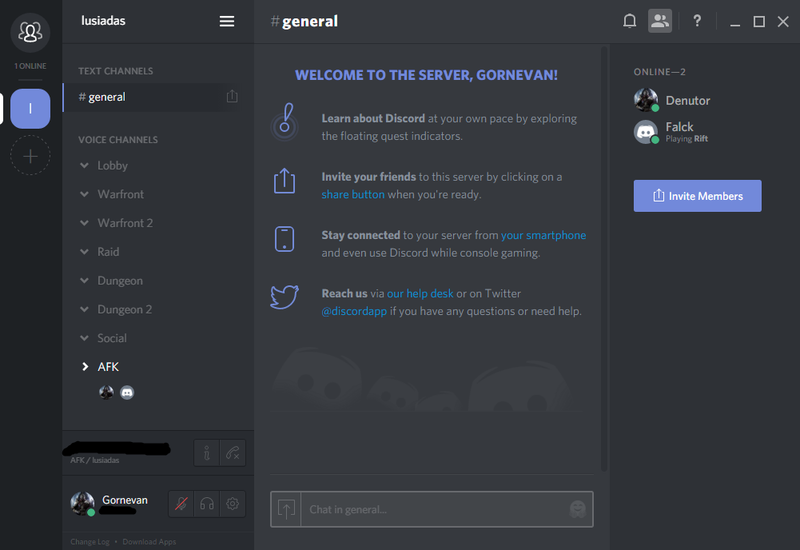 Discord - Talk to the guild! Discussion in 'Articles' started by Gornevan, Jun 18, 2016. One of our fellow guild members and recent guild leader (Falck) has pointed out something better then that Russian virus we were using (Well, that some of us were using). We've got Discord (which you can download HERE (or use it from your browser! Pretty handy, huh? You can even get it for your phone! 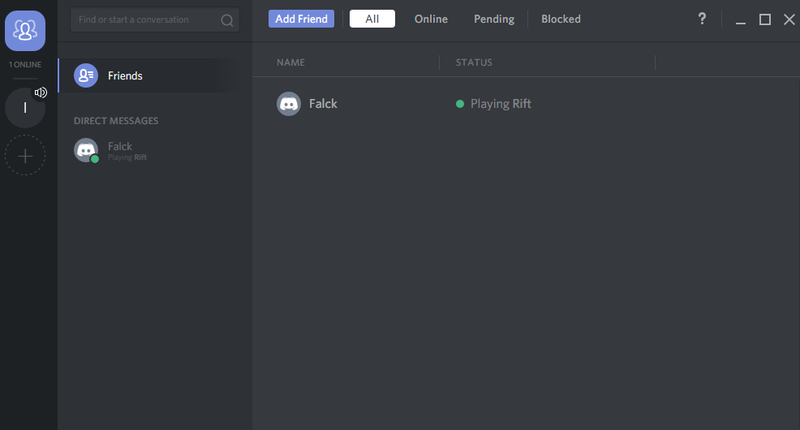 )!Also, from what I've seen, it's so much better then RaidCall. Here are some images that might help. You should get something similar to this (but emptier). It has a very simple menu, right? Extremely noob friendly, I found. See that thing marked with a horribly made circle? Go ahead and click on it. 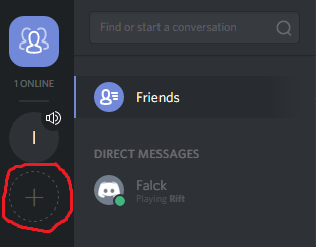 After clicking it, you should get something like this in the middle of the application. 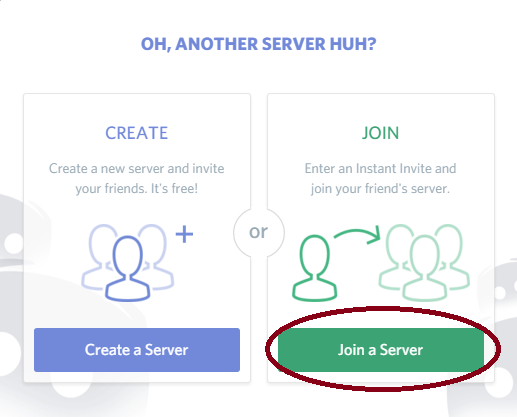 Click join a server. And you should get something like this! Just put the link you see in the image (Or just copy it from below, if you're too lazy) in that little box! After doing so, you should get something looking like this! As you can see, there's a 'Lobby' for everyone in the guild; Two Warfront tabs, two dungeon tabs and a raid tab, so you can communicate with each other while doing whatever it is! 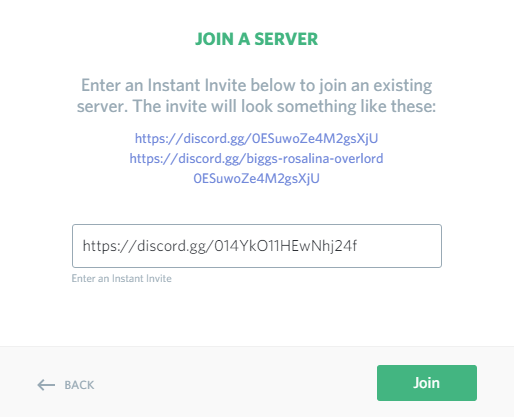 The link to acess is: https://discord.gg/014YkO11HEwNhj24f - Don't worry, it's a permanent link, meaning you can use it FOREVER (Well... Probably forever). There are also timed links (that'll stop working after a while) and temporary use links, for whatever reason (I'm guessing it's so no one else can use it). Join us whenever you can!